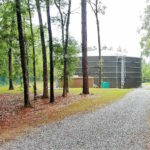 Most companies want to keep their wastewater tanks out of sight and out of mind, but compliance with local rules and EPA regulations is essential. Here are some quick tips for keeping your wastewater on the right side of the law and off your to-do list. Inspections from your local authority are no one’s idea of a good time, but there is no way to avoid them. 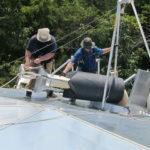 These inspections occur annually and, in some cases, even more often. If an inspector finds something they don’t like, it can lead to costly unplanned downtime and an expensive laundry list of repairs and maintenance. It is far more cost-effective to stay one step ahead of compliance regulators by conducting objective third-party tank inspections. When you know what’s going on with your wastewater tank, you can schedule rehab, maintenance or replacements on your timeline, rather than your local authority’s timeline. Every business wants to grow, but wastewater regulations can actually have an impact on how quickly and profitably you can expand product lines. Even though the EPA sets federal guidelines, it’s important to understand that the regulations you must follow are put in place by your local authority—so get to know them! Need proof? You may be familiar with the explosion in popularity of Greek yogurt in recent years. One major US yogurt producer quickly discovered that expanding into a line of Greek yogurt wasn’t nearly as simple as adding machinery inside the plant, and it all had to do with waste. The wastewater from Greek yogurt has a much different chemical composition than waste from regular yogurt, which results in a stronger waste stream. The company was forced to invest in new treatment methods and tanks just to handle that new output. Something seemingly as simple as a new product line can have a major impact on your ability to stay compliant within your current discharge permits. Every time you consider a product expansion that impacts your wastewater, consult with an expert to ensure accurate estimates so you can plan appropriately for any necessary changes to the way you treat your water. 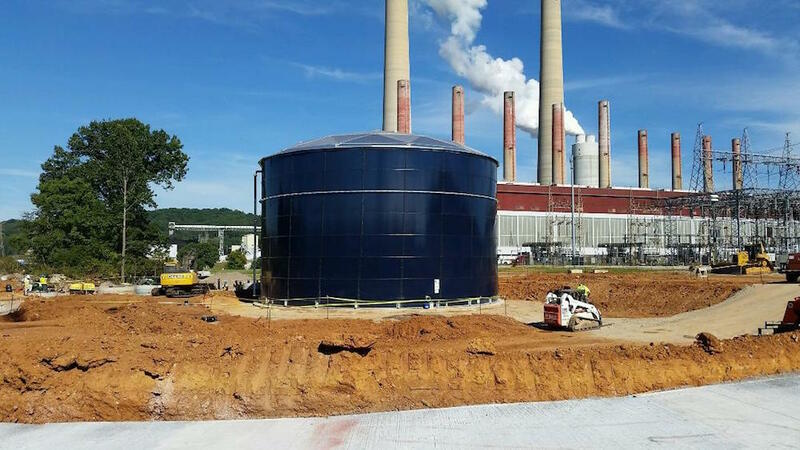 To avoid having to think about your tank while also remaining compliant with local, state and federal regulations, it’s just good business to invest in a tank that will keep you on the right side of regulators for the longest amount of time possible. 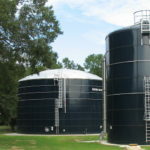 A durable tank with a long life and a tank that doesn’t require much in the way of maintenance is the best choice for anyone that doesn’t want to have to think about waste. 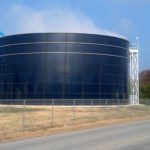 Glass tanks are about as set-it-and-forget-it as you can get when it comes to wastewater. The upfront investment is more significant than for an epoxy tank however, you save money over the life of the tank because you don’t have to rehab them every few years. Because they are durable and reliable, you won’t be caught blindsided by regulators during inspections, either. 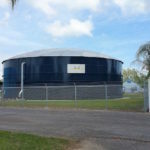 The right wastewater tank can keep you compliant and avoid downtime that may result from a bad outcome from an inspection. While wastewater isn’t a profit center, you want to be sure you manage costs well, so that waste doesn’t ruin your bottom line. Be proactive with regular inspections and invest in a tank that will protect you and the local water supply for decades to come.